Overall it is a good value for money or at least we got a last minute deal. We had an Executive Studio -the size of the room was good, we had a nice view to the see. The furniture is a little bit outdated, however white bedsheets and towels. Daily cleaning, AC included in the price. The bathroom needs refurbishment, it easily gets flooded and is pretty small. Free shuttle to the beach 3 times per day is really a plus, if you do not rent a car, given the location is quite remote. Pool on site. Friendly staff we arrived earlier than 2 PM, the room was ready and we checked in earlier free of charge. The staff were so so friendly and helpful and the food was amazing! The family running the hotel are extremely friendly and welcoming. The free bus is a nice bonus to Faliraki. Everything else- the staff is great and food is wonderful. People hold this accommodation with their hearts. Hope to go back! overall we were very pleased with the whole stay.we used this as a base to see the island.the apartment was fine....family that runs the place were lovely.....food and drink at the pool bar was good and a fair price.....the family also run a restaurant in falaraki where we had really nice fillet steak one night.the apartments are a mile or so from the town....but they do run a free shuttle bus three times a day.a taxi back from the town is only 5 euros. we had a hire car which i would recommend if we want to see the many sights on the island. Good views from balcony. Calm at night since it is remote place. 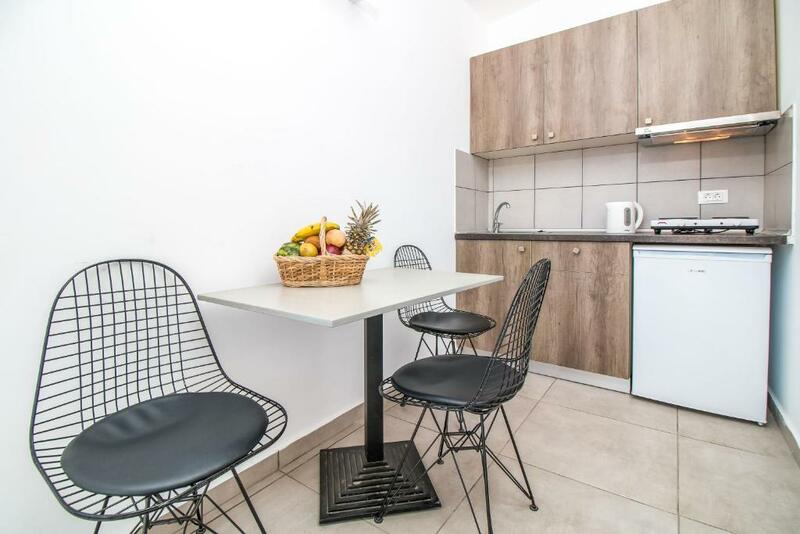 Lock in a great price for Hillside Studios & Apartments – rated 8.2 by recent guests! One of our top picks in Faliraki.The family-run Hillside Studios & Apartments includes a swimming pool and a snack bar and offers air-conditioned accommodations with views of the Aegean Sea. It is located 0.9 mi away from the sandy beach in Faliraki. Buffet breakfast is prepared in the morning. The on-site mini market stocks everyday necessities and souvenirs. Guests can spend relaxing moments at the sun beds available around the pool or enjoy refreshing drinks, fresh juices, light snacks and traditional flavors at the on-site bar throughout the day. Children are provided with a separate pool area. 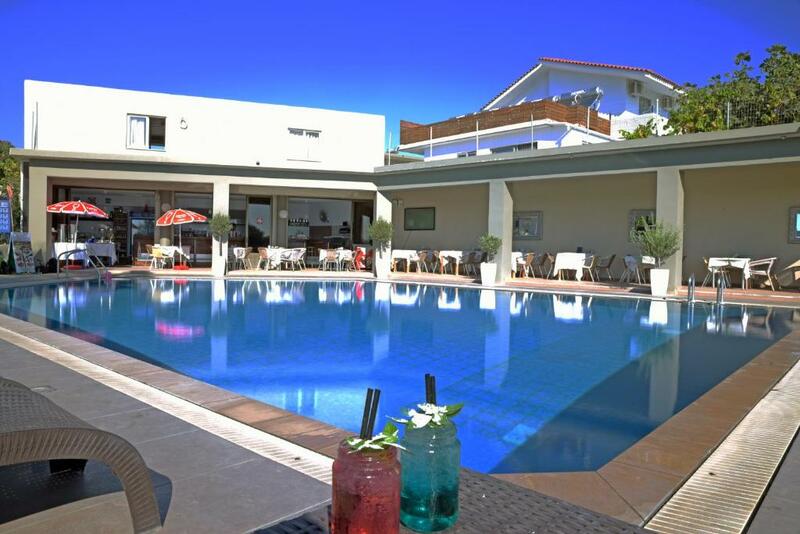 The center of Faliraki is just 0.9 mi from the Hillside Studios & Apartments. The Medieval town of Rhodes is 8.7 mi away, while Diagoras International Airport is at 13 mi and Lindos at 22 mi. Guests wishing to explore the island can benefit from the car/motorbike rentals provided at discounted rates at the reception. Free Wi-Fi is provided throughout the complex and free on-site parking is possible. When would you like to stay at Hillside Studios & Apartments? 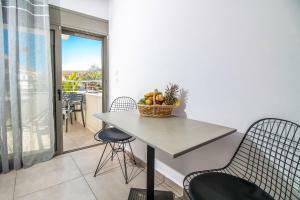 Overlooking the Aegean Sea from its balcony, this air-conditioned studio offers free Wi-Fi, kitchenette, hairdryer, flat-screen satellite TV and safe. Includes a well-stocked bathroom with toiletries and a hairdryer. 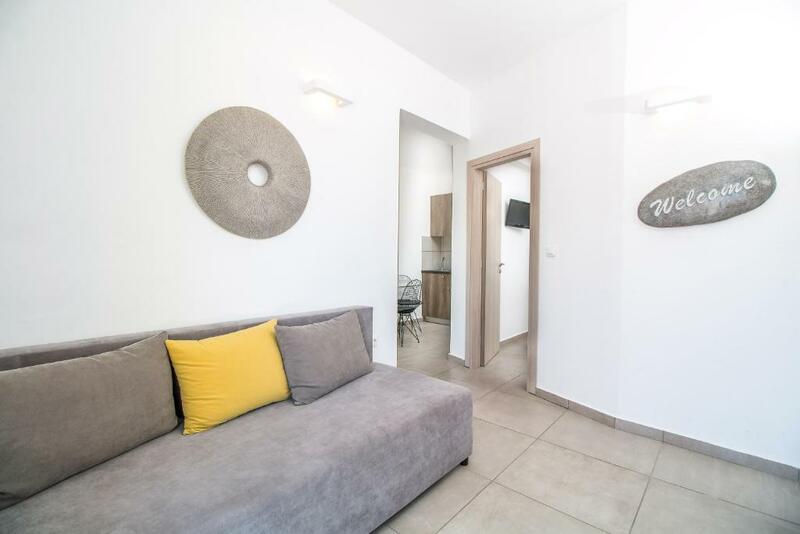 Overlooking the Aegean Sea from its balcony, this air-conditioned studio offers free Wi-Fi, kitchenette, hairdryer, flat-screen satellite TV and safe. Overlooking the Aegean Sea from its balcony, this air-conditioned apartment consists of 2 bedrooms, a kitchenette, flat-screen satellite TV and safe. Free Wi-Fi is also offered. 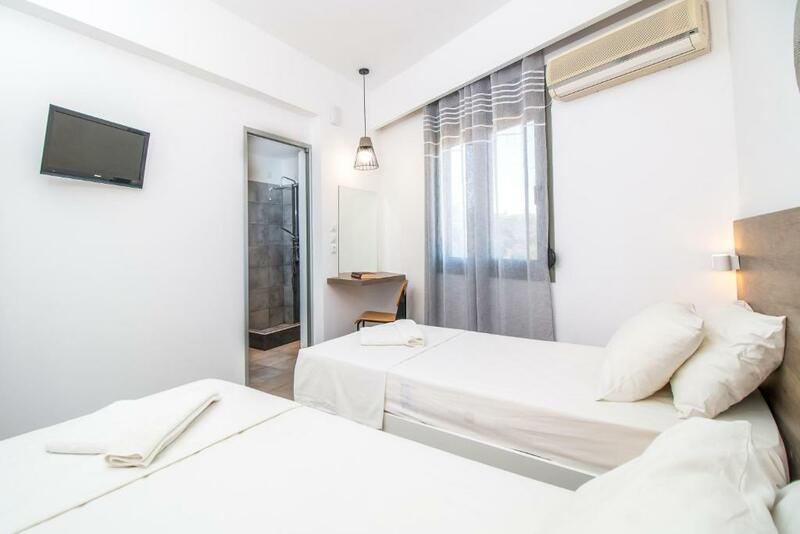 This air-conditioned studio offers free Wi-Fi, a kitchenette, flat-screen satellite TV and safe. Includes a well-stocked bathroom with toiletries and a hairdryer. This air-conditioned room offers free Wi-Fi, a flat-screen satellite TV and safe. 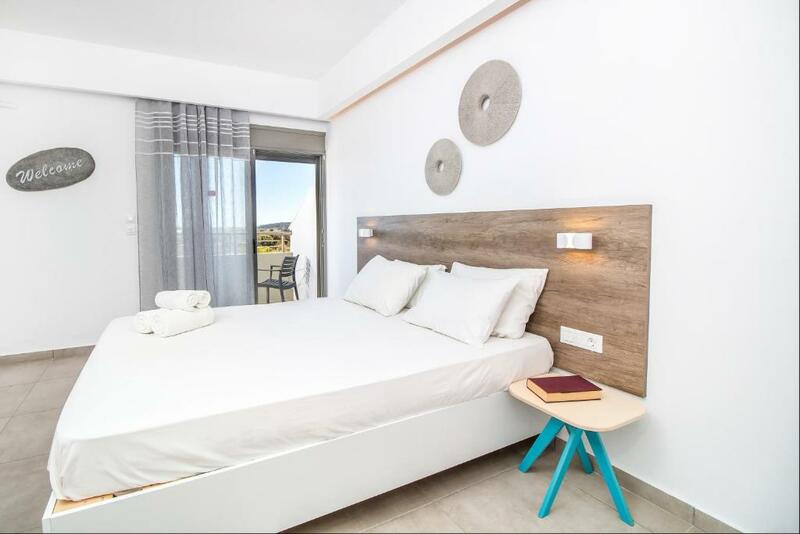 Located either on the first or second floor of the hotel this air-conditioned studio has windows that overlook the Aegean Sea and the swimming pool of the hotel. 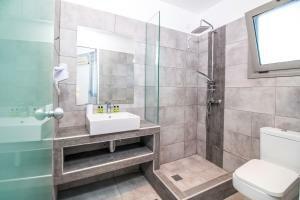 It also has a bathroom with bathtub, hairdryer, bath amenities, and slippers. It has an LCD Plasma TV with satellite channels, wardrobe with safe and free Wi-Fi. This modernly decorated suite comes with a satellite TV, free toiletries, and fridge, and opens out to a balcony with views over the surrounding area. 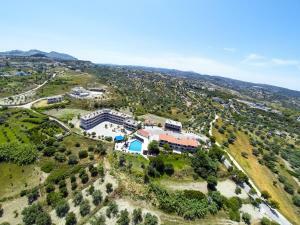 The Family that owns Hillside Studios & Aartments are well known in the local tourism industry.They have entertained and hospitalized thousands of guests allover these years, from all countries allover the world and we know very well about the warm Greek Hospitality. Come , Enjoy and be also part of the Family!!!!!!! Hillside Studios & apartments located in a small Hill just 1.5km far from the town. Is the right place where your body and your brain relax. To enjoy your stay if you want to travel arround Rhodes Island for sure you need to rent a car or moto and you can arrange it on the Reception. House Rules Hillside Studios & Apartments takes special requests – add in the next step! Hillside Studios &amp; Apartments accepts these cards and reserves the right to temporarily hold an amount prior to arrival. Hillside Studios & Apartments accepts these cards and reserves the right to temporarily hold an amount prior to arrival. A free shuttle service to/from the sea and the center of Faliraki is available upon request. Kindly note that guests booking half board rates can choose either lunch or dinner by informing property directly. Dirty bedrooms and bath. Dirt coming out of the drain. No WIFI in bedrooms. The do not offer what they say. 24h checking is a lay, we found a man snoring lied on the sofa, and our keys on a table. No information about wifi, breakfast... no welcome drink as Genius Booking members. The staff were amazing very helpful very friendly! Taxi prices from Kolona and to the airport 50 euro. The staff are lovely. A quiet location. The poolside area wasn’t very big so was hard to find a sunbed. The food was very overpriced as well I feel for the quality. I didn’t like the kitchen, the cleanness off the kitchen equipment and the smell after the cleaning. The bathroom was really hard to use, since we had to hold the shower head, and when you was finished, the whole bathroom was wet, including the toilet. I liked the cleaning lady, the veranda and the staff. The kitchenette we did not use it, the dishes were not very clean (probably not cleaned properly before our stay), the bathroom just mentioned and the furniture on the balcony -plastic chairs again a little bit outdated. The bed was a bit stiff. i personally found the beds very hard but that could be my preference.